Liquid is a PADI 5* dive centre that offer all the PADI courses from Discover Scuba Dive all the way to PADI Staff Instructor. 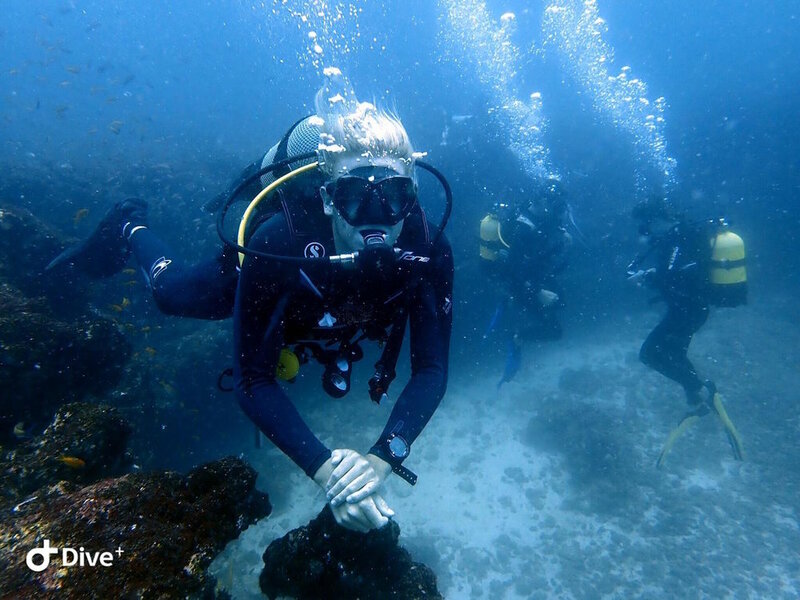 With on-site PADI Course Director all the courses are available throughout the year. The Divemaster course is where your professional level of training begins. During the program you will work closely with our instructors, assisting with student divers and developing your leadership abilities. Our course covers all aspects of being a dive pro from understanding the physiology and physics of diving, to using a SMB and mapping a dive site. You will gain valuable experience and dive skills, improve your confidence and expand your dive theory. 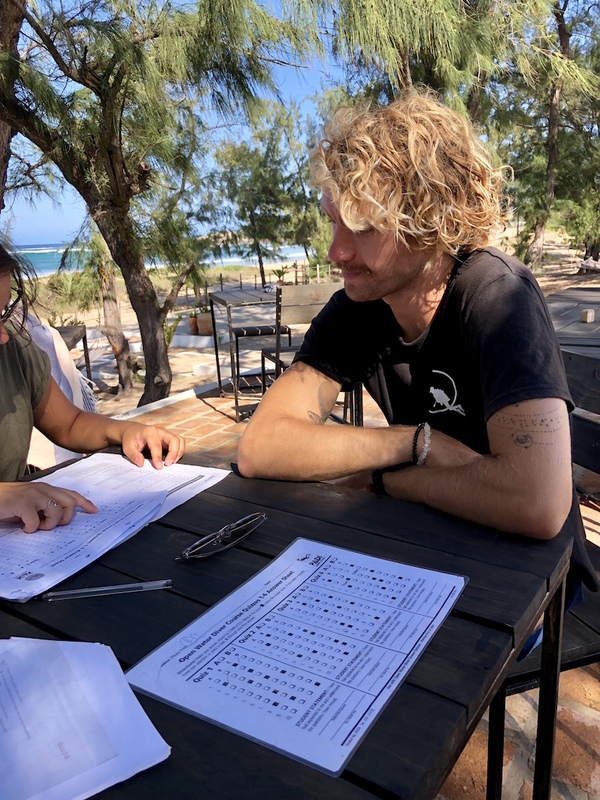 Our Divemaster Program is very flexible, allowing you to start your training when convenient and extend your training to maximize your learning experience. The course takes an average of 2 months to accomplish. Doing your divemasters in Tofo’s challenging waters will make you, not just a divemaster, it’ll make you a GREAT divemaster. Not sure on becoming a full Dive Instructor or not enough time to follow the whole Instructor Course? Start gaining experience as a PADI Professional by becoming an Assistant Instructor. While having already a certain amount of teaching responsibilities, you will still have the time to concentrate on developing your own teaching skills. As a PADI Assistant Instructor you can teach dive theory, present initial skills during confined water dives, evaluate Open Water Diver surface skills, and many more under the supervision of a PADI Instructor. This course is the first component of the PADI Instructor Development Course (IDC) and builds upon Divemaster training. The Assistant Instructor course introduces you to the role of an instructional assistant, both in academic teaching and in confined & open water training. After this program, you can enroll in the Open Water Scuba Instructor course (OWSI). This is the second component of the PADI IDC. After a successful performance at the Instructor Examination (IE), you will become certified as a PADI Open Water Scuba Instructor. As an Assistant Instructor you immediately improve your employability and value within the diving world. This program credits towards the PADI Instructor Development Course (IDC) and allows you to gain experience as an instructional assistant before deciding to commit to the IDC. The Assistant Instructor course can be conducted as part of the PADI IDC or as a stand-alone program. Have you always wanted to improve your scuba diving skills, and your knowledge about the marine environment? Then the Liquid Dive Adventures Marine Conservation Divemaster course is your choice! Nowadays, being “just” a PADI Divemaster is often not enough to compete for the best Divemaster jobs in a world where people are more and more concerned about the well-being of our oceans and coral reef ecosystems, more knowledge is needed about this pristine environment. After this internship you will be professional PADI Divemaster and also very aware about the things an individual diver can and should do for marine conservation. You can also share your knowledge in your dive briefings. If you like people, have a passion for scuba diving and want an extraordinary life – become a PADI Instructor.Teaching scuba diving allows you to share your love of the aquatic world with others while doing what you enjoy – being in, around and under water. PADI Open Water Scuba Instructors and PADI Assistant Instructors are the most sought-after dive professionals around the world because they’ve completed the program that sets the standard for training dive professionals. You earn a PADI Instructor rating through hard work and commitment, but you’re rewarded with a job that lets you share incredible underwater adventures with others – transforming their lives for the better and enriching yours. Are you ready to join the ranks of the dedicated professionals who teach the world’s most progressive and popular scuba diver education programs? If you are planning on becoming a PADI instructor you are also required to be an EFR Instructor. We offer Emergency First Response Instructor Courses as part of our Instructor Developing Courses (IDC) and can also offer them on request, one-on-one. Even if you are not doing your PADI IDC now, why not think about doing this course in advance to remove some of the stress and workload during your future IDC? If you want to become a Master Scuba Diver Trainer you need to be certified to teach five PADI Specialty Courses and you need to have issued 25 PADI certifications. It is therefore obvious that the more courses you are certified to teach the more quickly you will be able to issue the 25 cert’s you need to have to become a Master Scuba Diver Trainer. On MSDT course you will learn you how to teach the PADI specialties you choose from the large list we offer.